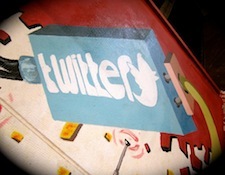 In an effort to provide members with more relevant topics, Twitter is rolling out Tailored Trends. 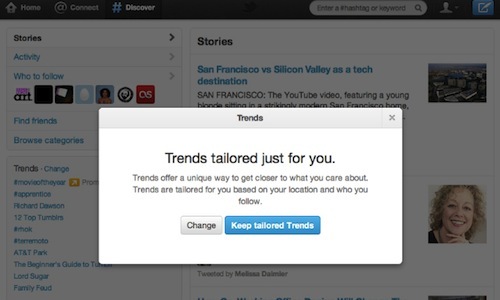 These personalized trending topics are based on location and who members are following. Both the Discover tab and top trends list display topics that are attracting the most conversation across the globe. While we’re sure knowing what the Biebster is up to is important for some, it’s fair to say that most trending topics aren’t relevant to the average user. By default, Twitter Trends will be based around these new signals. However, members will still be able to switch back to the non-personalized view to see what’s trending in a specific city or country. The company hopes that Tailored Trends will provide its user base with content worth engaging with, rather than letting it get lost in a stream of noise. It’s too early to tell what kind of effect this will have on marketers looking for free promotion through the Trend list. The update will gradually roll out over the next few days and will affect Twitter’s website, as well as its mobile apps for iPhone and Android.